HARLINGEN — The RGV cycling community is remembering and paying tribute to Henry Roberts, founder and owner of Bicycle World, who died Sunday after a battle with non-Hodgkin’s lymphoma. Roberts, who was born in the Bahamas, opened Bicycle World in Harlingen with his wife Kelly in 1977 and followed-up with locations in Brownsville, McAllen and most recently, in Corpus Christi. Those who knew him and spent time at the store share the same anecdote: Roberts was a caring man who was personally invested in helping his customers achieve their best, from novice cyclists to those tackling the annual Jalapeño 100-mile ride, an event he founded 29 years ago with all proceeds benefitting the Boys & Girls Club of Harlingen. Roberts wanted to make cycling accessible to everyone and was a champion for the underdog, which is why he displayed photos of every day people in his stores, according to Kay Polt, who bought her first triathlon bicycle at Bicycle World in 2014. One of Roberts’ most impactful legacies is the Tri Girl Sprint Triathlon, held Aug. 5, 2018, at Victor Pool, which inspired many women to conquer personal goals and step out of their comfort zones. A distinguishing characteristic about this race is that it included a category called “Athena,” which was for participants with a minimum weight of 165 pounds. Whether visiting the original store in Harlingen or any of the other locations, Roberts wanted customers to experience the same welcoming environment. “It was open arms when you talked in there. He would remember you. The shop remembers you; you’re not really a stranger. You walk in there one time, you go in there 100 times, you never felt like you were walking into a business. It felt like you were walking into a clubhouse,” Bergeaux said. 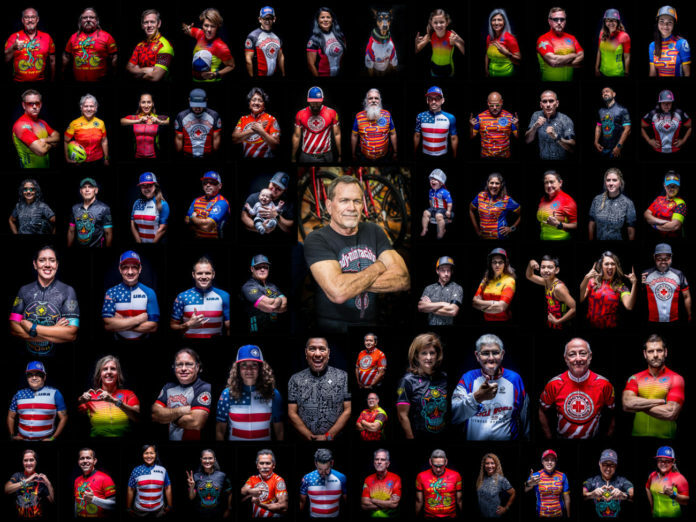 As a show of support for Roberts during his cancer treatments, local photographer Juan Macias compiled a collage of portraits of the many people who were inspired by Roberts, all wearing their Bicycle World jerseys. Among those featured was Dean Garza, who successfully underwent treatment for colon cancer in 2017 and celebrated by completing an Ironman Triathlon the following year. The family is asking to honor Henry Roberts by sending $20 Target and Walmart gift cards to the Blue Sunday Foster Program at P.O. Box 531653 Harlingen, Texas 78553. The family stresses the gift cards be for $20 so each child gets the same amount. Ernie Garrido is the Day Editor for the Valley Morning Star. He can be reached at egarrido@valleystar.com or (956) 430-6280.